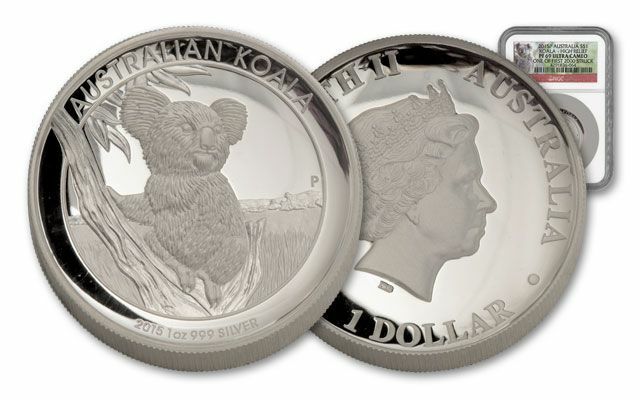 The ultimate example of Perth Mint's unrivaled craftsmanship is the Australian Koala Silver Dollar-struck in stunning high relief. Only a few coin issues in the world are struck each year as extra-thick, high relief proofs. 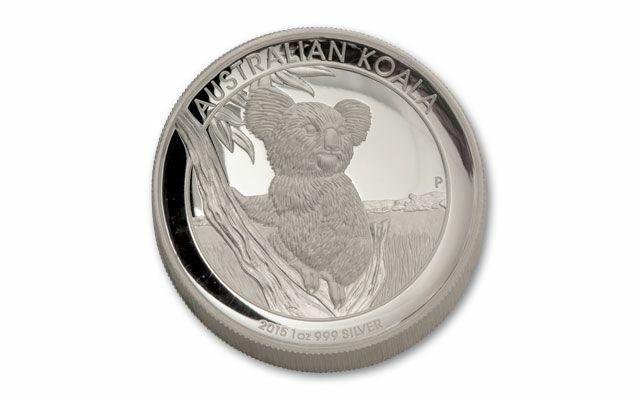 This 2015 One-Ounce Silver Koala High Relief Proof is struck in 31.135 grams of 99.9% fine silver and is $1 Australia legal-tender. 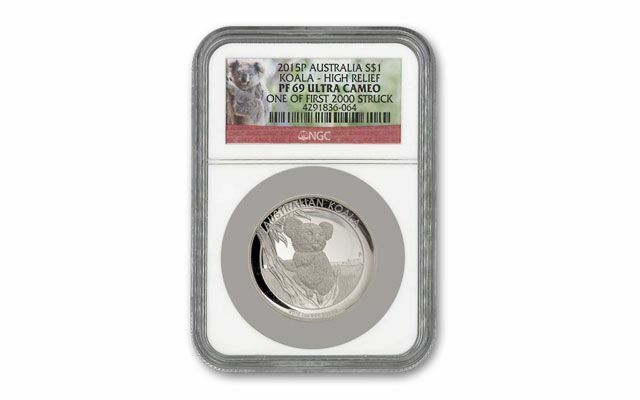 The reverse features a close-up of a koala. Once you own a high relief proof from a world-renowned mint, it's only a matter of time before you add more of these masterpieces to your collection. 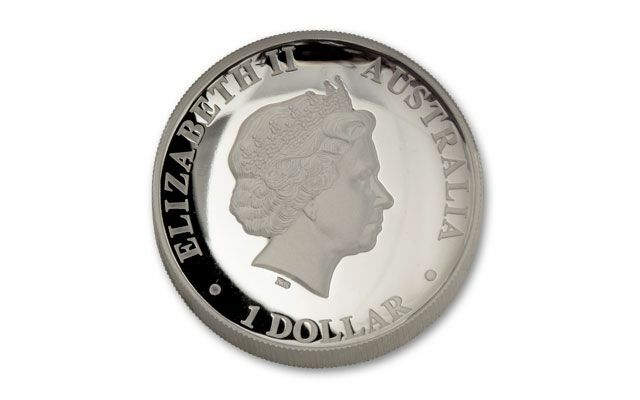 This is a low mintage limited edition Proof, making this one-year-only design a must-have. They're available here graded Proof-70 Ultra Cameo (PF70UC) by Numismatic Guaranty Corporation (NGC). Each is also one of the First Struck, and this pedigree is noted on the label. Act on it!